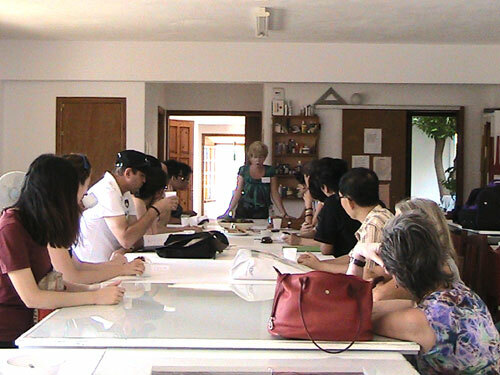 In 2009, Wangtae Lim, Professor of the Film and Art Department of Dong-Ah Institute of Media and Arts proposed to have a youth film festival that would be hosted by The Skopelos Foundation for the Arts. The idea was that students from Skopelos would participate from start to finish on a short film from 3 to 5 minutes and then it would be screened at the Orpheus Cinema in downtown Skopelos. 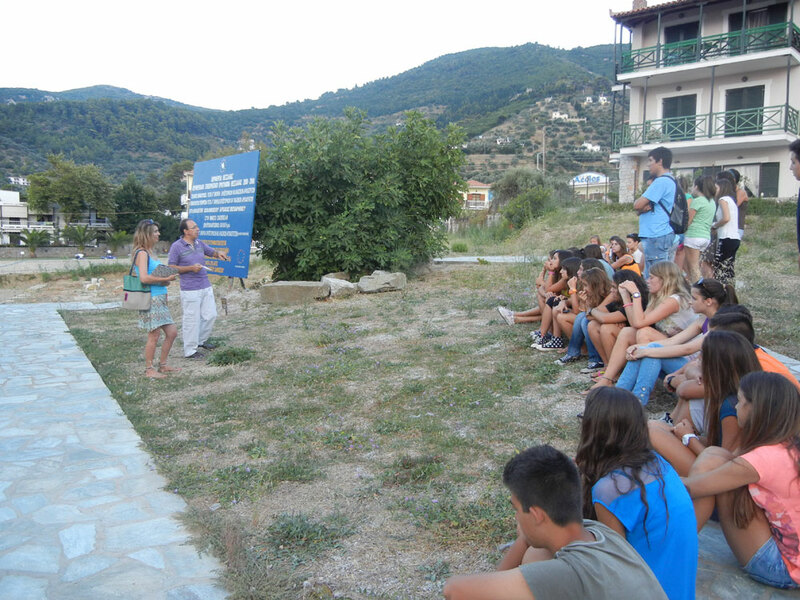 There were three teams of 20 students from the Skopelos high school and 2 students from America that happened to be vacationing in Skopelos. 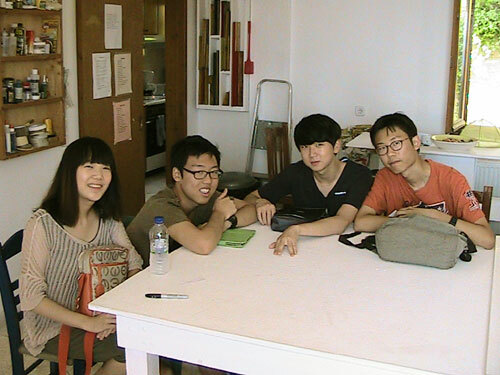 Each team had to come up with a scenario, script, film and direct the short and help edit it with the help of the three directors; Wangtae Lim representing South Korea, Kalman Czibolya, Director of Zoom to Europe Film Workshop representing Hungary and Nikos Theodosiou, Director of Camera Zizanio representing Greece. The festival was so rewarding for all that were involved. Sixty students from Skopelos and eight professional filmmakers from America, China, England Hungary, Korea and Spain will create films about the history of clay. The theme “Clay “was created to give the students some understanding of the usages of clay for utilitarian and decorative purposes. The students must take three four hour classes with Professor Kostas Siros to study the old pottery on the island, visit the ceramic workshop of Mr. Nikos Rodios, the Folklore Museum and the archeological site Asklipeiio. As a part of the classes, students will be asked to obtain an oral history from their parents, family or friends who lived during a time when things like clay pitchers for water, canters for wine, and clay pots for olives existed. As an example, at the turn of the century, there is a wonderful photograph of Skopelos with many water pitchers laid out at the dock for people to purchase and fill up so that they can bring water to their homes. These are the stories will teach the students to appreciate what life was like at a much simpler time. The oral histories will then be told the first day of SIFFY 2013 and then the students will take what they have learned and develop an idea to create a short film. have been possible without many extremely generous people wanting to support this project. possibly allow them to have a more positive outlook on life. You can see one of the award winning films from SIFFY 2012 at http://vimeo.com/48310047; for more information about the festival go to http://skopelossiffy.wordpress.com or contact Jill Somer at info@skopart.org. Youth (SIFFY) by Maria Falataki. 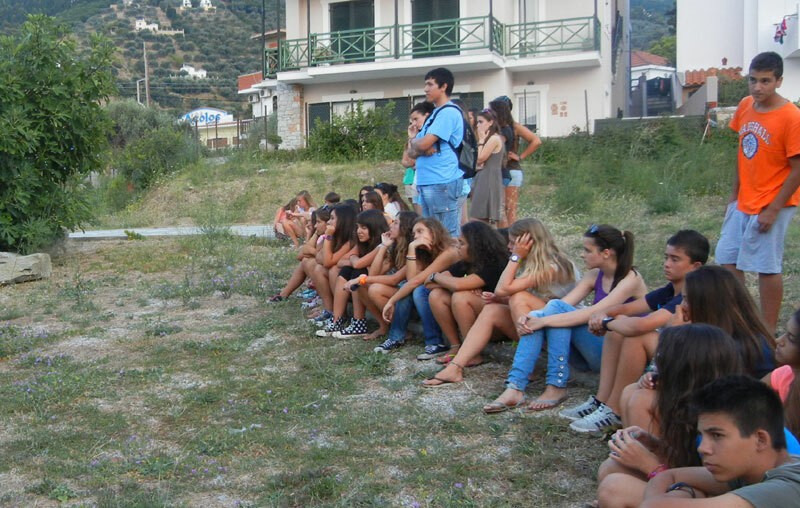 The second International Film Festival for Youth (Skopelos International Film Festival Youth) held this year on the island of Skopelos in the period 3-7 August. 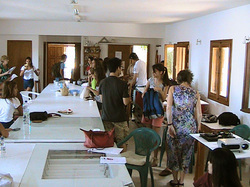 About 50 students of the island, aged 13-18 years taught acting, script writing, film direction and technical skills, electronic editing, sound and camera techniques. The title of the festival was My Greece and the aim was to challenge the negative stereotypes that have been associated with the Greeks, in recent years, from the media. The students were divided into groups of actors, writers, directors, technicians, sound engineers, camera operators and managed with the care of trainers to write, direct and shoot four short films. Adjacent to the students as instructors were distinguished professors of film and television, including The Wangtae Lim, Rector at Dong-Ah Institute of Media and Arts in Seoul, South Korea, Mr. Taedon Oh, Professor Television Dong Ah Institute of Media and Arts, Mr. Kalman Czibolya, Director of Zoom to Europe and Asia in Hungary, Mr, Sittisak Chanyawut, Professor Television Rajabat University in Thailand, Alexandra Fedina, Professor actress in Schepkin Theatrical School in Russia, and Ekaterina Fedina , a Russian composer. The festival was held under the auspices of the Municipality and the Tourism Committee of Skopelos and organized and hosted by the Skopelos Foundation for the Arts.